Zeonics Systech Defence & Aerospace Engineers Pvt. 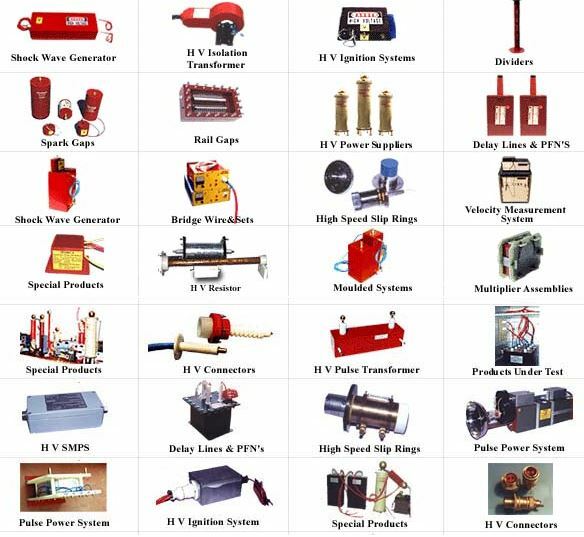 Ltd., was established in the year 1981 with the specific purpose of manufacturing High Voltage components & Systems. The unit was started as a Micro Scale unit mainly to design, Develop & Manufacture a wide variety of Highly Specialized Equipment & Components used for Defence & Atomic Energy applications. The unit has one of the most sophisticated R&D labs in the country with state of the art equipment & manufacturing facilities. The unit has now grown into a Macro Scale unit with highly specialised & Sophisticated Research & Development Laboratory, Capable of handling critical projects. The unit manufactures Systems for measurement of Velocity of fast flying projectiles. These Systems are used in Military applications for measuring velocity of Rockets, Missiles, Bullets & Other projectiles. The unit manufactures Spark Gaps, Rail Gaps, Pulse Transformers, Trigger Transformers and a host of other HV Pulse Power Components. The Components manufactured by the unit are cost effective and most reliable, military approvals are available where required. 950 Products are developed in 27 years.